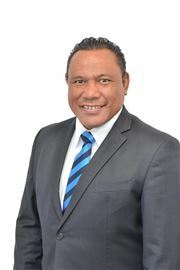 Harcourts - Bob Lemalu 'Property Bob' Lemalu is a young New Zealander of Pacific Island descent born, bred and residing in Manukau, Auckland. Bob is passionate about being a Kiwi and is also very proud of his Pasefika heritage. With a good command of the English and Samoan languages, Bob is a great communicator who keeps things simple and ensures his clients are fully aware of all happenings in the sale or purchase of their beloved home. Bob will treat you with courtesy and respect and will work diligently and efficiently to deliver a service experience to exceed your expectations. With over 12 years experience in sales and management roles and with a background in Media advertising solutions - Bob has the business acumen, skillset and expertise to achieve the best outcome for you. Whether you are selling your beloved home - or buying your first home, Bob understands the emotional journey and will guide you with his professional and hands-on approach. In his spare time, Bob likes to relax with his family, attend the Rugby and make music with his buddies as he is a part time musician and also a weekend Sports announcer on a popular pacific radio station. If you have thought of selling your home and would like to enlist the services of a local agent you can trust and rely on to work hard for you - call Property Bob today on 022-360-5297. After twenty years as a professional in the Real Estate industry, I am proud to announce my recent transfer to Harcourts Titanium Real Estate Ltd, Manukau. I believe communication is an important part in this industry and to build a good reputation requires honesty, care and years of dedicated work. I have had the opportunity to meet a diverse group of people from many cultures, races and backgrounds over the years, who have now become close friends that refer future and repeated business. During my time in Real Estate, I have experienced the high's and low's in this industry, so there is no stone unturned when it comes to understanding what skills are required to move with the times. If you're thinking of selling, whether it’s for a job transfer, downsizing, mortgagee sale or just moving on. “ I am here to help “ If you're thinking of buying, this can be the biggest investment of your life. So when you need an Realtor that is willing to listen. “ I am here to help “ If you have got this far in reading my profile, I thank you for your time and welcome your call. With 25+ years of sales experience prior to making on a successful change of career to Real Estate, Glenys is the agent who can listen to your needs and deliver to your expectations. When she's not busy working, Glenys enjoys travelling overseas, spending time with her family, hiking, theatre and great wine. Four adjectives define Glenys: she's vibrant, energetic, focused and committed. 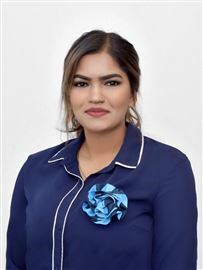 Her main talent is that of connecting people, understanding their needs and matching them with property. Her mantra has/is/always will be "people don't care about you much, you know until they know how much you care". "There is no better job then helping people either realise their dream of a first home; a last home; others may wish to make up a portfolio; prosper at the same time as they provide a home for a tenant". If you're looking to buy, she will find the perfect fit for your housing needs and keep you well informed of what's happening in the market. Looking to Sell? Contact Glenys and she will give you 100% commitment to find the buyer for your home and achive the highest price! Buying or selling? Give her a call - she'd love to hear from you. Joe has accumulated 7 years’ worth of experience in the public service sector working for the Ministry of Social Development from Work and Income to working alongside Benefit Review Committees, Investigation Services and Legal Services. A baptism in fire in Real Estate in his first 3 years in the industry Joe gained mentorship under Don Ha a self-proclaimed and Reward Winning Property Guru where Joe learned the ins and outs of the Real Estate Industry. From selling mass property numbers off the plans in Project Marketing to sharpening and honing his sales skills to ensure best realtor service for vendors and developers alike. 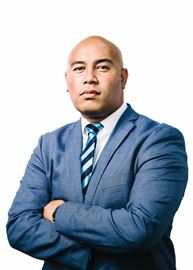 Plying his Trade now at Harcourts Titanium Joe aims to be a beacon of hope for the South Auckland Community by assisting the people with home ownership and real estate investment plans. Encouraging financial literacy through real estate investment Joe looks to implement all previous experience and learnings to assist the South Auckland people in seeking a better tomorrow. 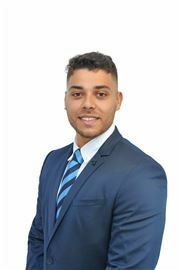 Joe already has astounding social skills, professionalism and the right attitude, rest assured his energy and perseverance will get the deal done and get you over the line in selling your property. Having been a marketing executive for an international company for over 20 years John recognised his training skill and experience were perfectly suited to the Real Estate Industry. He completed his qualification in 1996 and immediately embarked on his new career. In 2002 John saw the advantages of aligning himself with the highly successful Harcourts brand and from that point forward he achieved results many in the industry can only dream of. Now with in excess of 500 successful real estate transactions behind him John’s continued enthusiasm for achieving outstanding results for his clients together with his vast experience means he is always there when the awards are given out. As an experienced consultant plus having been involved in development and rental investment for over 20 years John understands the importance of listening to his clients needs and through his planned marketing approach and Harcourts tried and true systems, John offers a real edge over his competitors. A local resident of Golflands for 18 years and a dedicated family man John truly understands the needs and challenges of all generations in the real estate market. John Chand is totally committed to providing his clients and customers the highest level of professionalism, courtesy and honesty. Let John help you achieve the very best result and give him a call today. 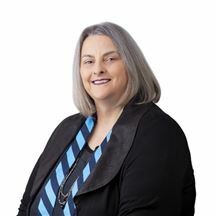 Marilyn Wassell has worked in Real Estate for 27 years . Having worked alongside some of Real Estate’s top people during her 27 years in the industry, she too has received many high achievement awards including being a multi million dollar member. Marilyn is highly attuned to her clients needs and demonstrates a natural ability to listen and a down to earth approach to her communication style. These two important skills have kept her in the business and will continue to do so for a very long time to come. 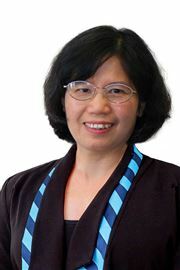 Marilyn also has achieved a diploma in Social Sciences. This gives her that extra edge when dealing with the many diverse communication styles. Marilyn is a very community minded lady and has been an active Victim Support Volunteer for the past 14 years. Marilyn enjoys the South Auckland property market with its diverse cultural population. 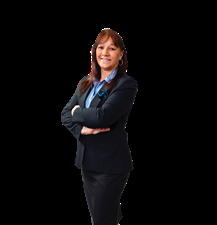 She believes strongly in good old fashioned service where she gives her clients 100% commitment and keeps the client well informed throughout the often complex process of selling and buying property. 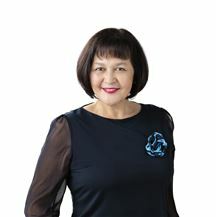 Marilyn loves the team environment she works in and the high standard of service promoted by Harcourts. The ongoing back-up support and leading technology Harcourts offers is second to none. She relishes the opportunity to keep clients up to date about the Real Estate market and enjoys the challenge to ‘make it happen’ for her clients. Mumtaj epitomises integrity, energy, hard work and creative service in every detail of your real estate transaction. She grew in India and started managing family investment portfolio helping granny and mom in sale and purchase and managing rentals at the age of 12. 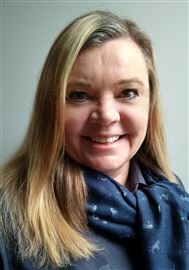 After migrating to New Zealand in 2001 with her 2 children, continued her passion in real estate and has since worked every aspect of the industry helping sellers, buyers, and investors in residential market. Mumtaj the University of Auckland’s PGDBM Program Scholar, an entrepreneur and qualified Project Manager lives in East Auckland. Her both sons are her world. She enjoys swimming or driving around beautiful countryside or coastline with her youngest. A sports person by nature, won air rife shooting championship and had been part of Auckland White Tigers Dragon boating team. She is actively involved with Neighbourly, supporting community in every possible way. She is a registered organ donor since age of 16yrs, regular blood donor and a persistent advocate motivates community to come forward and do the right thing. Mumtaj’s natural infectious passion about property is complimented by everyone she worked with. She is driven, persistent, experienced and absolutely committed to her clients. Energetic in all aspects of her life, enthusiasm and attention to smallest detail. She is able to think quickly on her feet, exceptional attention to skilled negotiations, knowledgeable analysis of property values and market trend. She is creative and has the natural ability to achieve best outcomes. She is trained and inspired by some of the best of the industry. She builds strong relationship with banks, lending institutions, builders and investors. She initiate communication in every details of the transaction, from the first phone call all the way to close. Five words you can count on from Mumtaj; Love, integrity, passion, commitment and loyalty. “I believes, your home is your biggest financial asset and it is important to select someone who understand the importance and benefit of home ownership and investment. I offer you the highest level of service to achieve the best results. Property is my passion. I love and passionate about matching ideal property with right buyer. I love to see smile on your face.” Please call Mumtaj today on 021 678 685, to plan what exceptional results we can achieve together or find the perfect property. Amassing a vast wealth of property knowledge, Omkar is at the top of the list when anyone is thinking about buying, selling or renting property. 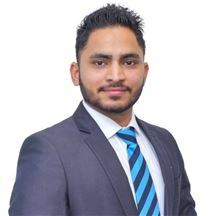 Omkar can sympathize with home owners, developers, investors & first home buyers alike, having lived all these scenarios many times over giving Omkar the unique ability and insight to handle all types of property requirements. 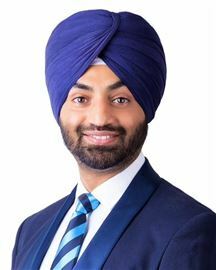 Omkar continually receives positive testimonials and feedback about his excellent performance and client representation, particularly in the area of property development. Having an expert team around him makes sure that every area of his business and real estate transactions are completed by professionals and leaders in their respective roles. This gives his clients a huge degree of comfort knowing that Omkar heads the delicate negotiations on behalf of his clients while his team (specialists in Photography, Copywriting, Staging and Marketing) handle the backend workload. Being fluent in Punjabi, Hindi, Urdu and English, this gives Omkar the ability to communicate and engage with a wide range of people, cultures and personalities. Omkar likes to say that anybody can sell property, but it is those agents that have the processes, systems, skills and knowledge that can get you that extra 5% - 10% above market value, and Omkar by far is a leading example of this. If you desire an experience that will Wow you with delight and satisfaction, then contact Omkar today – you’ll be delighted you did. Sheila has a passion for the property industry and when combined with her willingness to go the extra mile, results in a positive real estate experience for all her clients. Prior to real estate, Sheila worked in retail sales as a customer service manager for over 20 years. Here she developed an insight into interior and garden design and presenting your property for the market. Sheila enjoys challenging herself and this has made her well equipped to deal with the challenges that real estate consultants face daily. It is her enthusiasm balanced with organisational skills that drive her towards achieving the best outcome for her clients. Sheila treats all her clients with respect and honesty always. 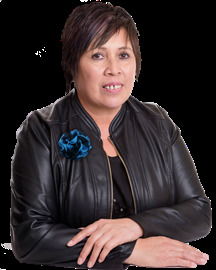 As a local working out of Harcourts Titanium Manukau and living locally, Sheila knows the area well, this helps to makes her the go to expert. Let Sheila take care of the big things so you can focus on what's more important. Passionate, Dedicated, Connected Specialties: Effective, targeted marketing of residential property throughout Manukau, Papakura and their surrounding suburbs. The process of buying or selling a property is regularly ranked as one of the more stressful things that people can go through in their lives. There are all sorts of reasons for this: the upheaval, the pressure of finding the right house or the right buyer, the stress of dealing with banks, etc. In such a stressful situation it’s good to know that you have an estate agent you can rely on, someone experienced and ethical who keeps you up-to-date on everything that’s happening with your property goals. That’s the agent you get when you work with Terry Goodfellow. With over 19 years’ experience in the real estate industry, Terry has sold homes all over the Auckland area. His knowledge of local property market trends is unsurpassed, and over the course of his career Terry has sold every conceivable property type. All of this translates into an agent who knows how to get things done, and who knows how to keep his clients happy. And the secret to Terry’s many happy clients is simply this: he works hard to get them the best possible prices for property sales, and he never gives them anything less than the absolute truth and up-to-date information about the status of the sale. He believes in building long-term relationships with his clients. This means that he works hard to get the best deals for everyone he comes into contact with, with the view that they will use him again in the future. This client-centred approach to the real estate industry is part of the reason that Terry is such a popular estate agent in the Auckland area–he delivers successful outcomes for his clients. Vinod comes from a finance background. 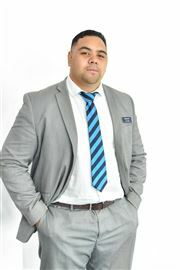 He has joined Harcourts, Otahuhu ready to serve you with all your Real Estate needs. He has worked for ASB Bank as a Senior Customer Service Officer for over 8 years where he provided face to face customer service for transactional enquiries and made referrals for home loans and other related bank products. For the last 2 years, Vinod has worked for Sitel looking after IAG clients in Australia meeting their general insurance requirements for Home, Contents and Motor Vehicle Insurance. 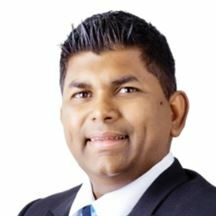 Vinod migrated to New Zealand in November 2003 after a successful banking career for over 25 years with Westpac Banking Corporation in Fiji in Retail, Home loans and Business Banking areas. Vinod had a very good relationship with all types of customers where he looked after his portfolio and helped it grow. Vinod can comfortably converse fluently in English, Hindi and Gujarati. 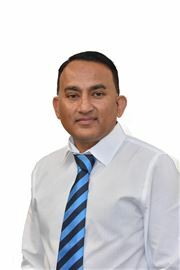 With Vinod’s finance background, being able to speak 3 languages and being a resident of South & East Auckland for over 10 years, Vinod is confident he will be able to provide valuable service to anyone looking to buy or sell residential properties. He can also provide a no obligation, free market appraisal of the property. 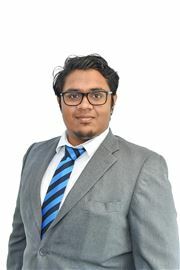 Call Vinod today to discuss all your Real Estate needs.